By Texas Defender Service and Texas Appleseed. 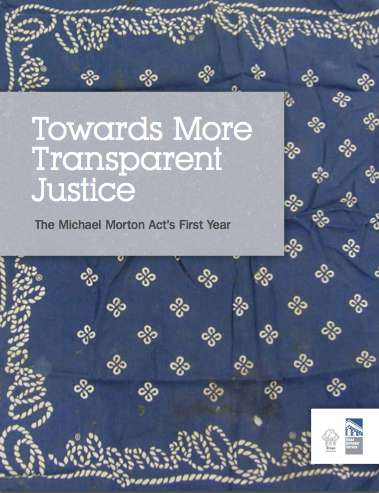 On Jan. 1, 2014, the Michel Morton Act took effect -- the first time in Texas history that criminal defendants have a statutory right to review the State’s evidence against them without a court order. This enactment instilled transparency into the criminal justice system, and ensured that the defense may acquire information necessary to: evaluate the charges against the accused, locate and preserve evidence that is favorable to the defendant, and make an informed decision about how to proceed. The following report is an evaluation of the Act’s implementation during its first year.